North and South Carolina are not usually top states for major construction activity. However, as their population and economies grow so does the construction activity. A 2017 report indicates that the region has a healthy to strong forecast for growth in construction starts. The increase in projects means more heavy equipment is in use. Thieves are taking advantage of the opportunity as well as having access to both states’ ocean ports and interstate system that can be used to move stolen goods out of the area quickly. In fact, the 2016 LoJack Corporation Study on Construction Equipment Theft showed that North Carolina was a top 10 state for thefts and recoveries. Therefore, a combination of technology and smart site management processes help protect assets. Technology can also help reduce losses from theft. Asset telematics software, such as AssetOutlook™, helps to locate equipment and provides a historic breadcrumb trail to see the path(s) your equipment traveled. It also offers additional benefits such as actual, real-time engine hour utilization and data for predictive maintenance. And, with more than $186 million worth of recovered assets to date, as cited in LoJack’s 2016 Construction Equipment Theft Recovery Report, the LoJack® System is an added layer of security for any contractor. Now, here are four theft and recovery stories involving equipment based in the Carolinas. In November 2017, the customer of a major equipment rental company notified law enforcement of a theft of a 2016 Polaris UTV (utility task vehicle) from their construction jobsite in Winston-Salem. The Winston-Salem Police Department verified the theft and entered the vehicle information into the state and federal crime computers that automatically activated the LoJack® System concealed in the Polaris UTV. A short while later, Agents from the North Carolina Department of Motor Vehicles License and Theft Bureau picked up the silent LoJack System signal from the stolen Polaris with the LoJack® Police Tracking Computers (PTC) that are installed in patrol vehicles and aircraft. Following the directional and audible cues from the PTC, the Agents tracked the asset to a residential area just five miles from the construction site. 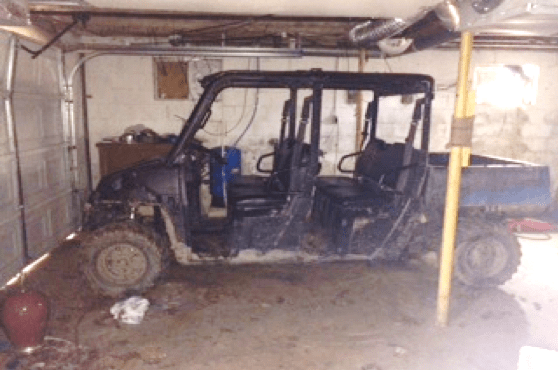 The Agents were given consent to search the residence and located the stolen UTV in the basement of the residence. NADA Guides suggests a list price of almost $11,000 for a 2016 Polaris Ranger Crew 570 UTV. According to the 2016 LoJack Construction Equipment theft and recovery report, UTVs were the fifth (6%) most recovered type of equipment with an estimated replacement cost of almost $11,500. In January 2018, the owner of a 2016 Kubota U35-4 Mini-Excavator contacted the Concord Police Department to report it stolen from a jobsite sometime overnight. Agents entered the verified theft into the state and federal crime computers to activate the LoJack® System concealed on the excavator. Through coordination by the Concord Police Department and the North Carolina Department of Motor Vehicles (NCDMV), an Agent from the NCDMV equipped with a PTC began surveilling the area where the theft occurred. Just minutes after the Kubota’s LoJack system signal activated, the NCDMV Agent picked it up. 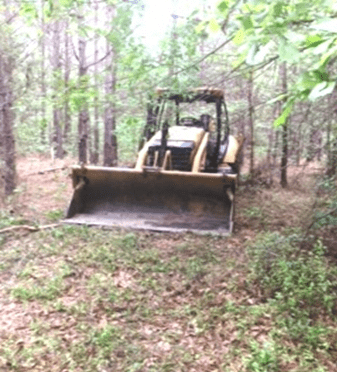 Following the directional and audible cues from the PTC, the NCDMV Agent located the mini-excavator concealed in a brushy area a few miles away from the incident location. The NCDMV agent believed that the thief had hidden the equipment there until the situation cooled down and then planned to return in a few days to complete the theft. The recovered Kubota mini-excavator was returned to the owner. The 2016 LoJack Construction Equipment theft study showed that asset thefts tend to be local or within a small radius area from where the equipment was taken. In April 2018, the owner of a 2014 Caterpillar 420F Backhoe contacted the Florence Police Department (South Carolina) and reported the equipment stolen. It was last seen at the construction site the previous day and taken sometime during the night. The Florence Police Department took the necessary steps to activate the LoJack® System. A Deputy with the nearby Darlington County Sheriff’s Office followed the silent LoJack® System signal from the stolen asset to a rural area of the county. The Deputy determined that the backhoe was in a wooded area behind the residence of a known offender. He knocked on the door and was given consent to check the woods behind the dwelling. Fortunately, the Deputy was familiar with the network of logging roads that were behind the residence and located the stolen Backhoe in the tree line. The potential suspect in the case was not there. The scene of the recovery in Darlington was a little less than six miles from the theft area in Florence. 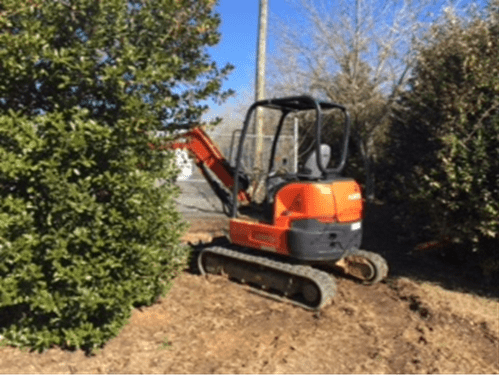 In March 2018, the owner of a 2016 Takeuchi TB240 Mini-Excavator contacted the Spartanburg County Sheriff’s Office (South Carolina) and reported the equipment stolen. The owner reported it was last seen at the construction site Friday and went missing before he returned to the site Monday. The Spartanburg County Sheriff’s Office also took a separate report of a stolen Bobcat skid steer from a different yet nearby construction site that had a separate owner and was not equipped with a LoJack Stolen Vehicle Recovery System. The Spartanburg County Sheriff’s Office verified the theft and entered the vehicle information into the state and federal crime computers that automatically activated the LoJack System concealed in the Takeuchi Mini-Excavator. An Agent with the North Carolina Department of Motor Vehicles License and Theft Bureau in the Rutherford County District followed the directional and audible cues from the PTC to a diesel mechanic shop. The Takeuchi was inside and visible through an open bay door. Also visible was a Bobcat skid steer. The Agent was given consent to enter the shop and, upon examination of the assets, determined that the Product Identification Plates (PIN) had been removed. 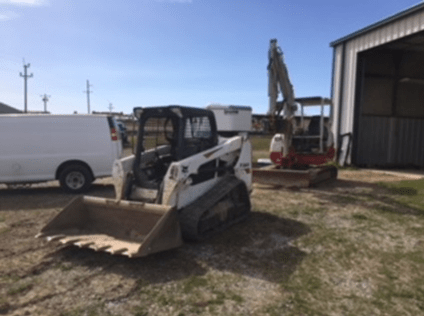 With the assistance of the National Insurance Crime Bureau, the Agent was able to identify the Bobcat skid steer and determined it was also stolen out of Spartanburg County in the same area and timeframe as the LoJack-equipped excavator. The Agent questioned the shop owner who claimed he purchased both pieces of equipment from the same individual from a craigslist ad in Atlanta. He paid a total of $30,000 for both pieces of equipment and the seller delivered the equipment to his shop at night. This case is pending further investigation. However, the shop owner could be charged with Possession of Stolen Vehicles and Possession of Vehicles with Altered or Obliterated Identification Numbers. Although recovered in a different state than where the thefts occurred, the diesel mechanic shop was just over 40 miles away from both construction sites. The 2016 LoJack study showed that the estimated replacement value for a skid steer was $36,533 and an excavator was $44,980. 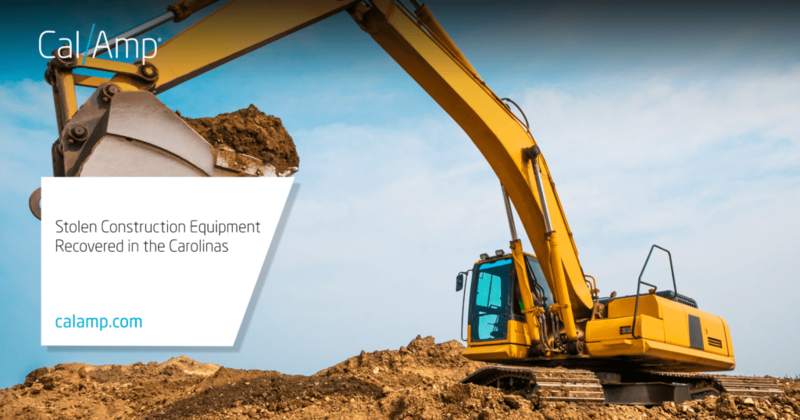 These Carolina stories illustrate some of the main trends seen in the 2016 LoJack Construction Equipment Theft study. It showed that the equipment taken is typically five years or newer and that theft is generally local. The assets were quickly recovered before going to a chop shop or shipped overseas. The 2016 LoJack study found that almost three-fourths of equipment recovery happened within 24 hours. It is important to implement processes, physical restraints and technology solutions, such as asset telematics and the LoJack® Stolen Asset Recovery system, in order to protect your construction equipment and vehicles. Download the 2016 LoJack Corporation Study on Construction Equipment Theft here and visit our construction solution page at calamp.com/solutions/construction.